4 Smart Gadgets For The Modern Vaper - Gary The Geek Blog - Geeky Techy Loser Stuff! Innovation has driven everyday technology with one primary objective: to revolutionize modern life as we know it. New gadgets are bursting onto the market to transform every aspect of daily living, from alarm clocks and kitchenware to vaping devices and accessories. 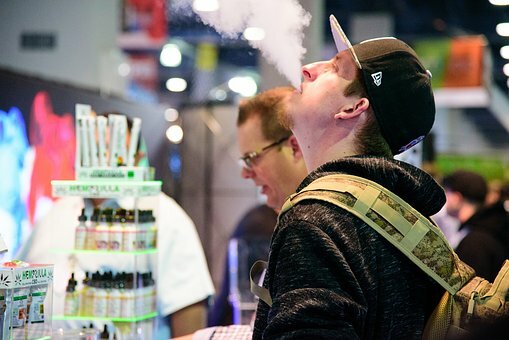 For the modern vaper, it’s vital to keep up to date with the latest gadgets available on the market because by doing so, you can enhance and improve your vaping experience. Below are four smart gadgets every vape fan should own. There is nothing more frustrating than being out and about when your vape device runs out of steam. While portable USB chargers are typically used for smartphones, these handy pieces of tech can also rescue your vape when you don’t have access to a plug socket. The majority of portable USB chargers can be fully charged in a matter of hours and will last to recharge your device a number of times wherever you are. For those who are always on the go, this gadget is an extremely handy back-up for when you need it most. Don’t forget to turn it off when you’re not using it, however! Cleaning your device correctly can be a challenge, especially if you don’t know the best ways to do it. As water and electronics do not mix well, investing in a modern cleaning solution is vital. An ultrasonic cleaner includes a variety of functions to clean every part of your vaping device, including the tanks, drip tips, coils, and screws. This handy device will soon become your device’s best friend, as you simply pop the parts in the cleaning basket, connect the power, and switch it on. It’s incredibly quick and easy to get every aspect of your NJOY device clean to ensure it’s well maintained and lasts longer. This gadget is an intelligent solution to eliminate any vapor within the air. For those who vape inside their home or in their car, it’s perfect to filter and purify the air. The Joyetech Avatar VapeNut is a fashionable piece of tech, which will look stylish in any room or car. It plugs directly into a power source and detects the concentration of vapor in the air, with four colors which show you whether there’s very low concentration (green) or very high concentration (red). It ensures that you can enjoy fresh air wherever you are. For those who share a home with non-vapers, it provides a fresh atmosphere. For the modern vaper, mods for their device is the next step up for their vaping experience. Mods come in a vast variety of shapes and sizes, but box mods in particular work to channel the battery current into a more highly powered device. Modifications are the best way for a modern vapor to enhance their experience, ensuring high performance every time they use their device. What’s more, the latest mod gadgets are lightweight and easily portable to provide high performance at all times.